2018 Austin Dillon #3 Dow Salutes Veterans / Chevrolet Camaro ZL1 NASCAR diecast, by Action Lionel. 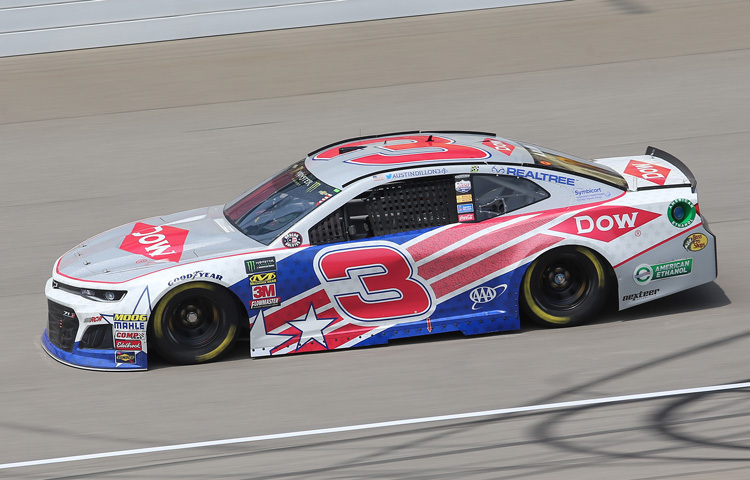 The Richard Childress Racing #3 Dow Salutes Veterans Chevrolet Camaro ZL1 was raced by Austin Dillon in the Monster Energy NASCAR Cup, FireKeepers Casino 400 at Michigan International Speedway on June 10, 2018. This car featured the names of over 1,000 U.S Armed Forces veterans. This diecast car will not have the Monster Energy decal on the windshield.